Leonardo Officina Italiana has recently launched a new line of colourful pens that go under the name of Furore. Furore, Italian for “fury”, show off their bright and shiny liveries, calling for liveliness, deeness, and passion. Nothing about the feelings connected to fury shine through. If you’re puzzled about it, know that there is more to the name than an apparent mismatch with the pen’s character. 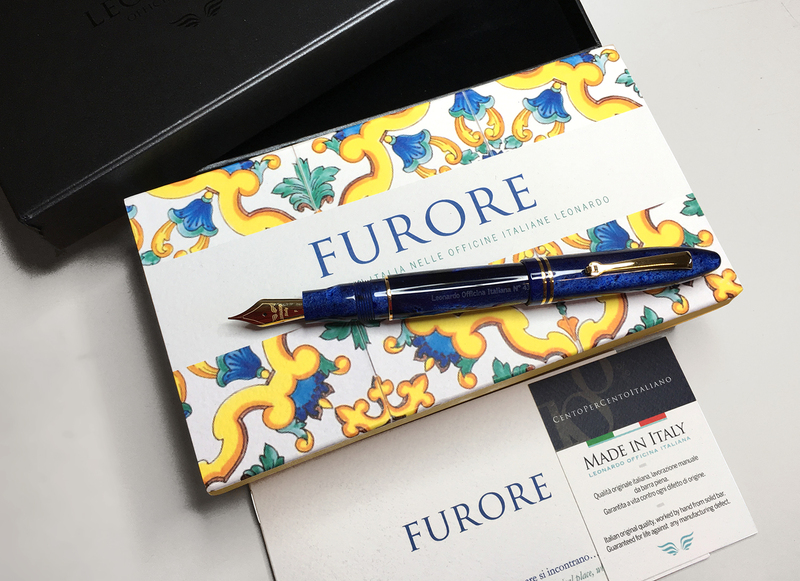 Discover here the mystery beyond Furore pens! 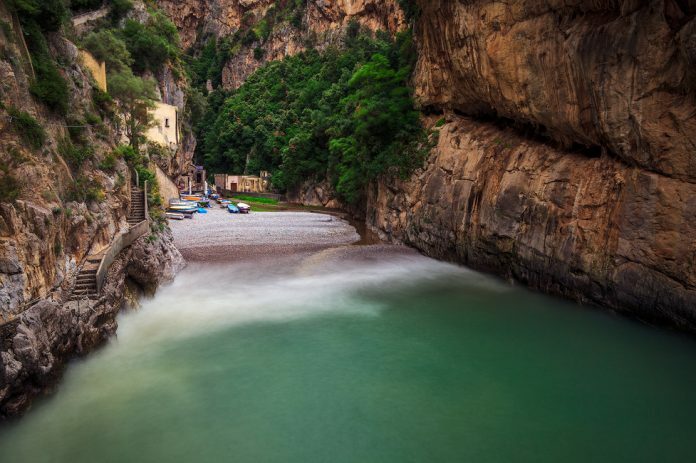 Cached in the folds of the rugged Amalfi Coast, in Southern Italy, is the small village of Furore. Part of the UNESCO world heritage since 1997, Furore is officially considered one of the most beautiful hamlets of Italy due to the lure of its fjord. Leonardo Officina Italiana has created a line of pens inspired by the vivid colours of this hidden paradise. 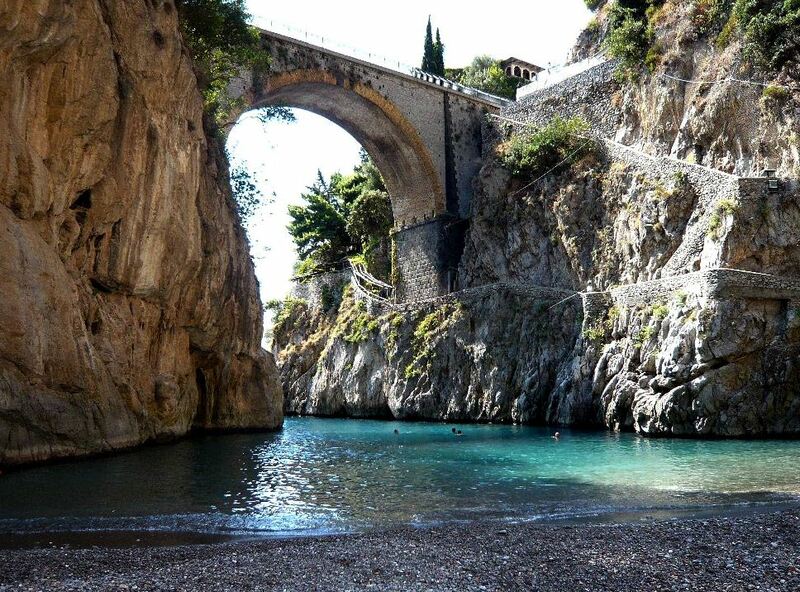 Halfway between Sorrento and Amalfi, just underneath the Path of the Gods, Furore is a hidden gem squeezed in between carse cliffs and the sea. Kissed by the sun for most of the year, its turquoise waters shine like a jewel tucked in between the mainland coast and its fjord. 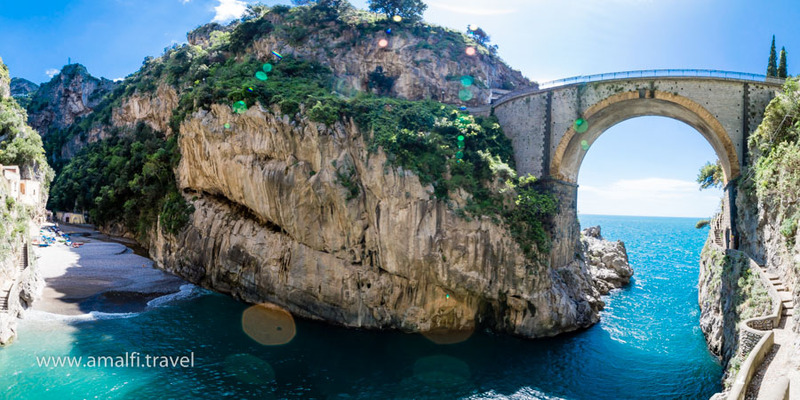 An arched stone bridge 30-m tall connects the two mountain tops, from where a breathtaking bird-like view shows the majesty of the coast. Carved in the rock, winding stairs lead down to the beach, where coloured fishermen’s boats are lined against the rocks. 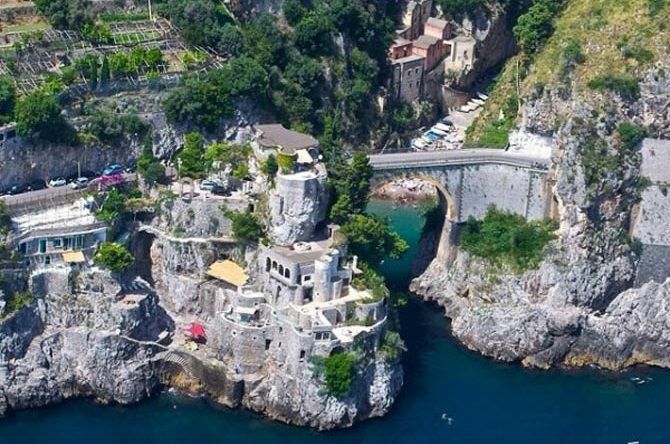 According to historian Matteo Camera, Furore owes its name to the asperity of the place at the time when the storm hits the cliffs and the clanging sound of the wind against the rocks spreads fright and fear. 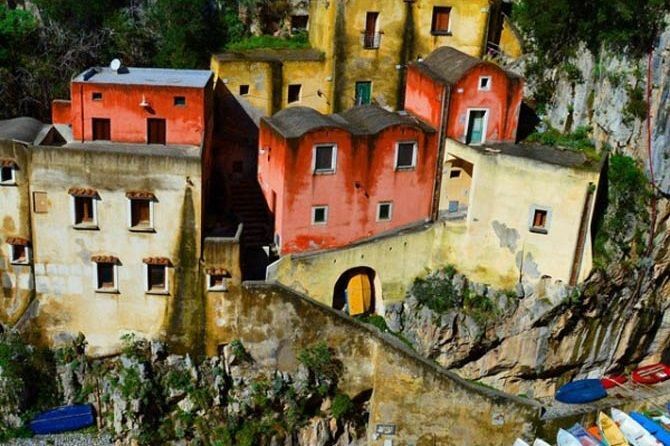 With its reputation of terror and beauty, this tiny maritime village has attracted different personalities: among others, film director Roberto Rossellini shot here the movie “L’Amore” (“Love” in Italian) with actress Anna Magnani and Federico Fellini as a guest star. Nevertheless, Furore is still today a location off the radar for tourism, making it one of the most authentic spots in Southern Italy. Yellow, like the relentless sun hitting the rocks; Emerald blue, like the sea in the cove under the bridge; Galaxy blue, like the night sky over the Amalfi coast; Salt white, like the rocks on the cliffs and the sand of the bay; and Passion red, like Rossellini’s movie “L’Amore”. These are the colours of the five astounding pens created by Leonardo Officina Italiana to celebrate their birth place – the hamlet of Furore and its fjord. With an elegant vintage look, rounded lines and shiny ringlets, Furore comes with golden or rhodium finishing. There are two versons of the pen: roller or fountain pen with cartridge/converter loader and either a 14-k gold nib or a steel nib. You can find all of them at Giardino Italiano’s. Pictures from: Travel Amalfi, Economia Italiana, AmalfiTravel, Wikipedia.